What happens in a no-deal scenario? Members of Parliament (MPs) have now rejected the Withdrawal Agreement negotiated between the British Government and the European Union three times. The Prime Minister has entered into cross-party negotiations with the Labour opposition with a view to reaching a parliamentary consensus on a way forward. On Wednesday 10 April the European Council of leaders agreed to a further extension to the Article 50 notice, the new deadline is 31 October 2019. Unless a solution is reached, the default position is that Britain will leave the European Union without a deal on 31 October. What are the possible consequences for British citizens abroad? Will the legal status of the affected British citizens change and will those changes be permanent? In the absence of a binding Withdrawal Agreement including a chapter on Citizen’s Rights, each individual member state will apply its own laws. 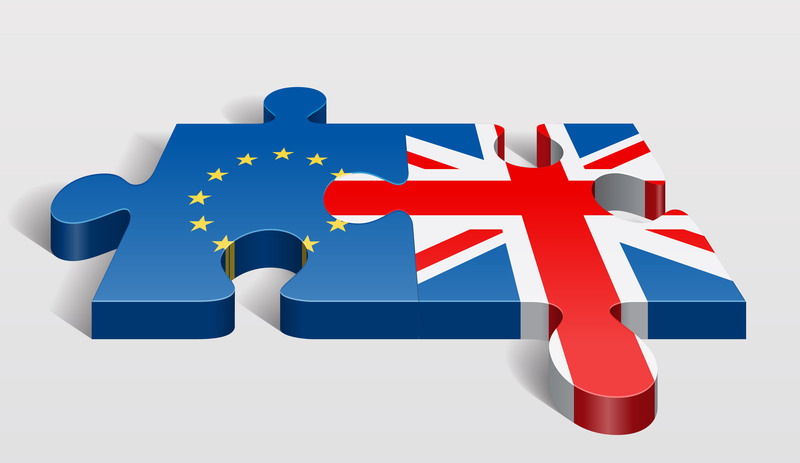 Listed below is a brief introduction to the policies and processes that a range of EU countries are likely to or have already put in place in the event of “no-deal”. The Austrian authorities have identified various areas that shall be affected in the event of a no deal Brexit; in particular residence, social security, transport and customs. As a result, the competent authorities have begun to review proposed adjustments to what they consider to be ambiguous legalities that could arise as a result of a disorderly withdrawal of the UK from the EU and is set to shortly pass the necessary legislation. Austria proposes a 6 month transition period during which time British nationals will be required to apply for the applicable residence permit. Throughout the processing period applicants can remain and work in Austria, and will be able to request confirmation of submission of the application for the applicable permit, as proof of their legal residence status, in lieu of the issued permit. A draft law, “Brexit Act”, was submitted to the Belgian Parliament on 19 February 2019, and will enter into force on the date the UK leaves the EU, in case of a no deal. A transitional period to regularise stay will apply from the date the UK leaves the EU until 31 December 2020. During this period, British citizens and their family members who have registered before the leave date, who lawfully reside in Belgium, may continue to do so until 31 December 2020. British citizens holding an EU residence permit (as a UK national) which is to expire before the end of the transitional period, will be renewed under the same conditions, and will be valid up until 31 December 2020. Applications for an EU residence permit (as a UK citizen) submitted before the date the UK leaves the EU, will be processed as per the applicable legislation in force on the date of submission, however the permit will only be valid until 31 December 2020. It is likely that during the transitional period, British citizens will be encouraged to apply for a long term residence permit, as a third-country national in the EU. Ekaterina Zaharieva, the Foreign Minister of Bulgaria, advised journalists in Parliament on 18 January 2019 that regardless of the outcome, the Bulgarian government is “Prepared” for all possible options”. Bulgaria is looking to introduce a simplified registration process for British citizens currently working and living in Bulgaria. Residence certificates which are currently issued to British citizens (as EU nationals) are to continue to be recognised until 31 December 2020 or until the expiry date, whichever is first. During the transition period current certificates will be replaced by a residence permit. The permit will identify the holder as being a British citizen and having resided in Bulgaria since a specific date. The Croatian Ministry of Interior (MUP) is proposing to apply “special rules” to British citizens, who, on the date the UK leaves the EU, have already registered their stay and hold a valid temporary residence permit, allowing them to maintain the right of residence in Croatia after the UK leaves the EU, without the need apply further for a permit to authorise work. Residence documents issued under the existing Aliens Act are to continue to be recognised after the date the UK leaves the EU, and for up to 1 year from the date the “new” Act comes into force, or the date of expiry (whichever comes first). Documents currently held are to be recognised as “Temporary National Residence Permits for nationals of the UK after Brexit”. It is proposed that “Temporary National Residence Permits for nationals of the UK after Brexit” be replaced within 1 year from the date the “new” Act comes into force. A transition period of up to 1 year is therefore likely to be introduced, during which time current permits are to be replaced. Cyprus is making plans for a “disorderly” Brexit and is currently preparing legislative changes. Government spokesman, Prodromos Prodromou recently advised that every step would be taken to secure the status of British citizens living and working in Cyprus, especially those within the two sovereign British bases. Foreign Minister Nicos Christodoulides proposes for an “interim solution” to be adopted and also wishes to ensure that the rights of Cypriots who work and reside on British bases are protected. Prodromos Prodromou advised “Ministers have long been instructed to record all issues that will arise if there is no agreement. The Ministry of Foreign Affairs has a general strategic plan and, of course, all provisions and all possible measures will be taken to mitigate the consequences”. It is therefore proposed that British citizens currently residing in Cyprus will be able to remain in case of a no-deal. However, “nothing is agreed until everything is agreed”. It is proposed that residence documents issued under the current 2004/38/EC directive will remain valid until the end of the transitional period, 31 December 2020. The Czech Ministry of Interior produced a draft Act in preparation of a no-deal Brexit, which was approved by the government on 7 January 2019. Should the UK withdraw from the EU without an agreement in place, those affected citizens already residing in the Czech Republic will be exempt from the current rules associated with third-country nationals until 31 December 2020 (this date is subject change), allowing for an exemption period. The Czech Republic is however looking to secure a reciprocal agreement. During the transition period, those British citizens registered in the Czech Republic will need to apply for a residence permit. Only those holding an EU temporary residence certificate will be able to remain and work in the Czech Republic until 31 December 2020 (subject to change). To effectively and efficiently manage a no deal scenario, various measures have been initiated by the Danish government. In case of a no deal, British citizens will be considered third country nationals, and Danish national rules applicable to third country nations will apply. However, the Danish government is conscious that British citizens who chose to live and work in Denmark prior to the date the UK leaves the EU, did so in their capacity as EU citizens, and as such, wishes to provide certainty to those British citizens already present. To secure proof of residence in Denmark, the Danish government is encouraging British citizens to ensure they hold an EU registration certificate or an EU residence card. Those who have not yet secured either should submit their applications for such documents before the date the UK leaves the EU. It has been proposed that from the date the UK leaves the EU, a temporary transitional scheme will apply, until a permanent solution has been agreed upon. Under the scheme British citizens residing in Denmark will be able to continue living and working in Denmark as per current legislation. On 20 December 2018 the UK reached an agreement with Norway, Iceland and Liechtenstein in relation to protecting the rights of citizens is each other countries. The agreement, known as the “Separation Agreement with the EEA EFTA States”, will come into force providing the Withdrawal Agreement is agreed. A transition or implementation period until 31 December 2020 will apply, whereby the rights of British citizens and their family members will remain unchanged during this period. In February 2019, the EEA/EFTA States agreed with the UK that they will safeguard citizens’ rights in case of a no-deal scenario. The agreement ensures that British citizens and their family members who are entitled to reside and work in the EEA EFTA may continue to do so on the date the UK leaves the EU. However, British citizens and their family members who arrive for work and residence purposes after the leave date will have to follow the rules that apply to citizens of third-country nationals. In relation to Norway, British citizens with the right of residence in Norway on the date of exit, who are not yet entitled to permanent right of residence (as they have not been resident for 5 years or more), will still have the right to reside in Norway and may continue to do so until new procedures are introduced. At the point of exit, British citizens with a right of residence in Norway will not need to immediately meet any new requirements in order to retain their right of residence. However, they may be required to apply for a residence permit and a residence card once new legislation has entered into force. British citizens who have a permanent residence permit or a permanent settlement permit issued prior to the date of exit, will not lose their right of residence, even if they do not have a registration certificate or residence card (unless they have resided outside Norway for more than two consecutive years). British citizens who have a residence/settlement permit and a Norwegian national identity number will be considered to have proof of legal residence in Norway. If a registration certificate (for an EEA/EU citizen), a residence card (for family members who are third country nationals), or a permanent residence permit (or a permanent settlement permit), is not held, British citizens will need to be able to prove that they moved to Norway before the date of exit day and that they qualify for residence under the EU Free Movement Directive (Directive 2004/38/EC 2004). The Estonian Ministry of Foreign Affairs has advised that British citizens will be able to remain and reside in Estonia in case of a no deal, and has recommended to other Member States that a “generous approach “be applied to British Citizens already living in the EU. Estonia is proposing to offer a 24 month transitional period, during which time British citizens are to secure a residence permit card. British citizens arriving for work and residence purposes from the date the UK leaves the EU until 31 March 2021 (subject to change), would be able to register as UK nationals, however those arriving from 01 April 2021 (date subject to change) will need to adhere to immigration processes associated with non-EU nationals and will thus require the appropriate permit. Iikka Salmi, Finland’s Interior Ministry Permanent Secretary has advised that the Finnish Government is currently investigating the possibility of introducing “special arrangements”, which will enable British citizens to travel and return to Finland should the UK leave the EU with no-deal in place. The Government announced that under new legislation British citizens who registered by 12 April 2019 will continue to be able to remain to live and work in Finland in case of a no-deal Brexit. A “special act” will therefore apply to those citizens who have registered their EU right of residence, and will thus be able to remain without the need of having to apply for any immigration documents. On 7 February 2019, the Journal Officiel published the government decree, which determines the rights of British citizens in France, in the event of a no deal. France has announced it will adopt a transitional period approach. An official Order published on 8 February 2019 states the final end date of the transition period will be 1 year from the date the UK leaves the EU. For British citizens to remain after the final end date, they will need to be in possession of a residence permit which is appropriate to their stay (carte de sejour or a residence permit) IE student, employee, posted worker, family member etc. Those who already hold a residence permit as an EU citizen will be able to exchange their permit for a long-term non-EU residence permit. The French government is likely to charge a fee for all new permits. Those British citizens who have been working and residing in France for 5 years or more from the date of Brexit, will be able to apply for a 10 year French Residence Card. In effect, British citizens will have 12 months to regularise their stay and apply for the appropriate permit . British citizens will be considered third-country nationals, although resident British citizens will not be required to leave Germany. A transitional approach is to be adopted which would allow British citizens to submit an immigration application to the competent foreigner’s office in Germany (the type and category of which is to be decided). The period was to initially run for 3 months from the date the UK was to leave the EU (29 March 2019), which is now likely to be extended to 9 months (31 December 2019). During this transitional period, and while an immigration application is decided upon, British citizens and their family members, who have been entitled to the freedom of movement under the EU Freedom of Movement Act, will be able to continue to live and work in Germany without a residence or work permit. To remain and reside in Germany after the transitional period, British citizens will need a residence permit. To work, approval from the German employment agency is likely to be required. In December 2018, the head of the foreigner’s registration office in Berlin, Engelhard Mazanke, announced that it was not yet clear what kind of residence status British citizens would receive or what documents would be required, but was confident that the office in Berlin could offer a good and flexible service and process applications in around 8 weeks. It is already possible for British citizens in Berlin to register their details online ahead of Brexit. Other foreigner´s offices in Germany are already preparing for application procedures and may be in a positon to offer assistance before the date of departure from the EU. A draft bill proposes that effective 01 January 2020, British citizens who are residence of Greece, prior to the date of leave, who hold a registration certificate or a temporary or permanent residence document, will be invited to attend the competent authorities to submit an application for a new biometric residence card. British citizens who have resided in Hungary for 3 years or more, on the date of Brexit, will be able to apply for a National Permanent Residence Permit. Applications must be submitted no later than 3 years after the leave date. During this time, documents previously issued will remain valid. New arrivals for work and residence purposes, after the date the UK leaves the EU, will be subject to the same requirements as those required for third- country nationals. British citizens who currently reside in the Common Travel Area (CTA) will not be affected by the UK’s exit from the EU. The ability to travel freely and reside in the CTA after Brexit will remain unchanged. The CTA provides for the free movement of British and Irish citizens between the UK, Ireland, the Channel Islands and the Isle of Man. As the CTA was formed before the UK and Ireland became members of the EU, reciprocal rights for Irish and UK citizens apply. Therefore, British and Irish nationals will not be required to apply for any form of settled status, work or residence permit, post Brexit, as the rights to work, to study and to access social security and public services will be preserved on a reciprocal basis for UK and Irish nationals. Travel between the UK and Ireland will also not be affected. This includes movement across the land border between Northern Ireland. Italy has confirmed that under decree 25 March 2019, in case of a no deal Brexit, British citizens currently residing in Italy, will be able apply to regularise their stay, and will have up until 31 December 2020 to do so. Those who have regularly resided in Italy for at least 5 years, from the date the UK leaves the EU, will be able to apply for a long term EU residence permit. British citizens who have regularly resided in Italy for less than 5 years, from the date the UK leaves the EU, will be able to apply for an EU residence permit valid for 5 years. British citizens should ensure they are currently registered with their local registry office at their town hall, to ensure they will be granted rights and have sufficient time to apply for residence status. Italian citizenship could also be an option, as the relevant decree allows for those British nationals who have regularly resided in Italy for at least 4 years, from the date the UK leaves the EU, to apply for Italian citizenship, and will have up until 31 December 2020 to do so. British citizens who do not comply with the above registration and residence permit requirements will be considered non-compliant from an immigration perspective, and will subject to the same penalties that are currently applied to and are applicable to third country nationals. A transitional approach is to be adopted whereby current certificates issued under directive 2004/38/EC are to continue to be valid until 31 December 2020. During which time those who citizens have resided in Latvia for less than 5 years, up until 31 December 2019, will be able to apply for a national temporary residence permit, as opposed to those who have lived in Latvia for longer than 5 years, may apply for a national long term residence permit. The competent authority is to forward information letters to those affected British citizens, which will provide details of the process to be followed and document requirements. The Migration Department of Lithuania announced on 21 January 2019 that “all UK citizens will be able to stay in Lithuania in case of a no-deal Brexit”. However, post Brexit those British citizens currently residing in Lithuania, who have not completed the already established residence registration process, will likely face difficulties. British citizens who wish to reside in Lithuania after the date the UK leaves the EU and whose current residency documents will expire before 2020, are “invited” to apply under the EU citizens and their family member’s scheme for temporary or permanent residence. Applications for those who have not already registered or applied for residence should do so before Brexit. On 18 January an agreement was reached by the Council of Government as to the status of British citizens in Luxembourg in case of a no deal. Luxembourg Minister of Foreign Affairs, Mr Jean Asselborn has assured members of the commission that the Luxembourg government is currently working to identify solutions, with the aim of minimising any detrimental impact the no deal scenario may have on UK residents in Luxembourg. Prime Minister Xavier Bettel and Mr Asselborn have announced a proposal, whereby British Citizens living in Luxembourg will be given a period of time during which they may continue to work and reside. British citizens are to be granted permission to remain on the basis of their current EU residence documents. These documents will be valid until 30 March 2020 (date subject to change). However, an application for a new national residence permit will have to be submitted before 31 December 2019 (date subject to change). Details of the process to be followed, and the type of new permit to be applied for is yet to be decided. British citizens holding dual nationality with another EU country are encouraged to re-register their presence as an EU citizen under the other EU nationality held. Those entering for work and residence purposes after Brexit will require the appropriate permits to enter and remain, as they will be considered third country nationals. In the event of a no-deal Brexit, the Maltese Government recently announced that all British citizens working and residing in Malta up until the date the UK leaves the EU will need to apply for a Residence Permit, which will be free of charge, valid for 10 years and renewable. A permit will also be available to British citizens who wish to enter for work and residence purposes after Brexit, although a residence fee will apply. The Netherlands has confirmed a transitional period of 16 months will be applied and it is stated that British citizens will keep their rights of residence and employment, even in the case of a no deal. To assist British citizens in evidencing their legal residence in the Netherlands until a given date, the Immigration and Naturalisation Service (‘IND’) will issue temporary residence permits in the form of a letter. The letter will indicate that even in the event of a no deal, UK citizens will be able to continue residing in the Netherlands and will receive a residence permit. During the transitional period, the IND will issue a further letter inviting British citizens to apply for a residence permit. Details of the application process and document requirements will be included. The IND will endeavor to send the letters by 1 April 2020. If the British citizen has not previously registered with the Personal Records Database (‘BRP’) in their municipality, they are not likely to receive the invitation letter. However, in order to apply for the permit, the individual must prove that they were resident in the Netherlands prior to the date the UK leaves the EU and therefore they must be registered with the BRP. Should a British citizen already hold permanent residence status, the IND will automatically change their status to issue them a national permanent residence permit. This does not require an application to be filed or any fees to be paid. On 15 March 2019 a draft Act was adopted by the Polish lower house of Parliament which provides for introducing a transition period, until 31 December 2020. Should a no deal situation occur, Poland proposes the grace period be introduced, during which time British citizens will be able to remain and work in Poland, and apply for a residence permit as a third country national. Depending upon length of stay, British citizens will be able to apply for a temporary residence permit valid for 5 years, or a permanent residence permit. The Portuguese government is to adopt a favourable approach, based on the strength of the British – Portuguese alliance, and thus British citizens living and working in Portugal should be given access to suitable resources as and when initiated. The Serviço de Estrangeiros e Fronteiras (SEF), the police service integrated into the Ministry of Internal Affairs, whose mission is to enforce immigration and asylum regulations in Portugal, has provided on its website, a document concerning a series of preparatory and contingency measures that were proposed by the Portuguese Government on 11 January 2019. It is proposed that an implementation period be introduced, from the date the UK leaves the EU, until 31 December 2020, during which time British citizens who are resident in Portugal are to convert their current registration certificate into a residence permit. As part of the British government’s “outreach programme”, the British Embassy in Lisbon and the British Vice Consulate in Portimão, have and will continue to hold meetings across Portugal and assist British citizens with their concerns. Romania is proposing to offer a transitional period, until 31 December 2019, during which time immigration documents already issued to British residents in Romania will remain valid. To secure residence after the transitional period, British citizens will need to have applied for a temporary residence permit. A fee for the permit is likely to apply. The permit should be issued in around 30 days and will be valid for a period of 5 years. Those who have lived in Romania for more than 5 years and or hold a permanent residence card will be able to apply for a long tem permit during the transitional period. British citizens who arrive in Romania before the date the UK leaves the EU, but have not registered, will be granted a 3 month grace period from the date of leave, during which time they are to apply for a 5 year temporary residence permit. Providing a reciprocal agreement is in place, Slovakia will look to protect the rights if British citizens already residing in Slovakia. UK nationals who have the right to permanent residence by the date of leave will be able to apply for a long-term residence permit. Those who have not resided in Slovakia for 5 years or more will need to apply for the relevant permit. A transitional period until 31 December 2020 will apply. Whilst the British government continues to negotiate Brexit, and particularly as there is a possibility of Parliament not passing a Withdrawal Agreement, the Slovenian Government will constructively seek to identify areas of concern, with the aim of reducing any negative impact associated with a potential no-deal scenario, by adopting and introducing “urgent legislation”. Providing a reciprocal agreement is in place, Slovenia will look favourably to regularizing the stay of those already established British citizens in Slovenia. On 2 March 2019, the Spanish Official Gazette published details concerning the new Royal Decree-Law 5/2019 (the Brexit Law), relating to the measures which are to be adopted by Spain in the event of a no deal Brexit. The law will come into effect on the day the UK leaves the EU in case of a no deal. On 22 March 2019, The Spanish Council of Ministers agreed the procedures and document requirements related to the steps to be taken. On 26 March 2019, the Spanish Official Gazette published details of the procedures to be followed. A 21 month transitional period will apply from the leave date. During which time British citizens working and residing in Spain will be subject to a “documentation procedure” which will relate to establishing a new status. UK residents of Spain holding an EU Registration Certificate issued within the 5 Year prior to the date of withdrawal will need to apply for a Foreigner’s Identity Card bearing the notification “Temporary Work and Residence Permit for UK national”. The card will be valid for up to 5 years. They will also have to apply for a residence permit. UK residents of Spain not holding an EU Registration Certificate prior to the date of withdrawal will need to apply for a Temporary Work and Residence Permit. During the 21 month period, valid EU registration certificates for EU nationals and residence cards of dependents of EU nationals will remain valid as evidence of legal status until new status has been granted. Should a UK national not hold a long term certificate or permit but have lived in Spain continuously for 5 years prior to the leave date, he/she will be able to apply for a long term permit, providing they meet criteria as set out in article 32 of the Organic Act 4/2000. With no agreement in place, the Swedish government is preparing for a no deal Brexit. Sweden proposes to permit those British citizens who are currently working and residing in Sweden, a 1 year transition period, whereby they will be permitted to continue to work and reside in Sweden. During this 1 year period, British citizens will need to request proof of the fact that they are covered by an exemption to the need of a work and residence permit. Here they will need to contact the Migration Agency who is to provide British citizens with a Temporary Residence Rights Certificate, which negates the need of a work and residence permit. In addition to requesting the certificate, during the transition period, those British citizens will likely need to apply for the appropriate work and residence permit. The process to secure the above is not yet known and the applicable permits are yet to be decided upon. British citizens arriving for work and residence purposes from the date the UK leaves the EU are to be classified as third country nationals and will require the appropriate work and residence permit as other non-EU nationals currently do. Although Switzerland is not a member of the EU, the right of EU citizens to reside and work in Switzerland is governed by the EU, under an agreement known as the bilateral Agreement on the Free Movement of Persons (AFMP). Once the UK leaves the EU, the AFMP will cease to apply between Switzerland and the UK. However, in December 2018, the Swiss Federal Counsel approved a draft bilateral agreement with the UK, on the condition that the existing rights of Swiss and British nationals already residing in each other’s countries will be guaranteed when the UK leaves the EU. On 16 January 2019, the Committee on Foreign Affairs agreed that the bilateral agreement be applied provisionally. It is expected that the Committee on Foreign Affairs will also shortly approve the bilateral agreement and thereafter the Swiss Federal Council (government) will sign the bilateral agreement. The next step is for the agreement to be approved by the Swiss parliament. In case of an orderly Brexit, the bilateral agreement will remain in force until 31 December 2020 to allow time for further agreements to be reached. In the event of a “no deal” Brexit, the bilateral agreement will provisionally still apply from the date the UK leaves the EU. Under the bilateral agreement, the residence rights that British citizens acquired under the AFMP (i.e. up until Brexit) will be protected and will be valid indefinitely. Up until the date of leave, those UK nationals in Switzerland already holding a short- or long-stay residence permit, who will have therefore registered in a commune, will not need to take any action. The same applies to persons with an EU/EFTA cross-border commuter permit. During a meeting held on 13 February 2019, in case of a no deal Brexit, the Federal Council agreed to introduce a temporary separate quota system for British citizens arriving for work and residence after the UK leaves the EU. Attend outreach meetings, available across many of the EU countries, arranged by the British Embassy;A number of EU Member States have already given political assurances to UK Nationals about their residency rights, yet ultimately the ability to continue living and working in an EU country after Brexit depends on the EU and its individual Member States, and whether they reciprocate any agreement the UK has to offer. Magrath Sheldrick LLP will continue to keep clients and professional colleagues updated on Brexit developments over the coming days.